The first manned submersible mission in two decades to the Andrea Doria shipwreck located off the New England coast—a treacherous dive considered the underwater equivalent of climbing Mount Everest—has produced the first close-up sonar images of the vessel. The early findings? The ship’s deterioration appears worse than previously thought, as a chunk of the bow has broken off since sonar images were taken from the ocean’s surface two years ago, according to an Associated Press report. 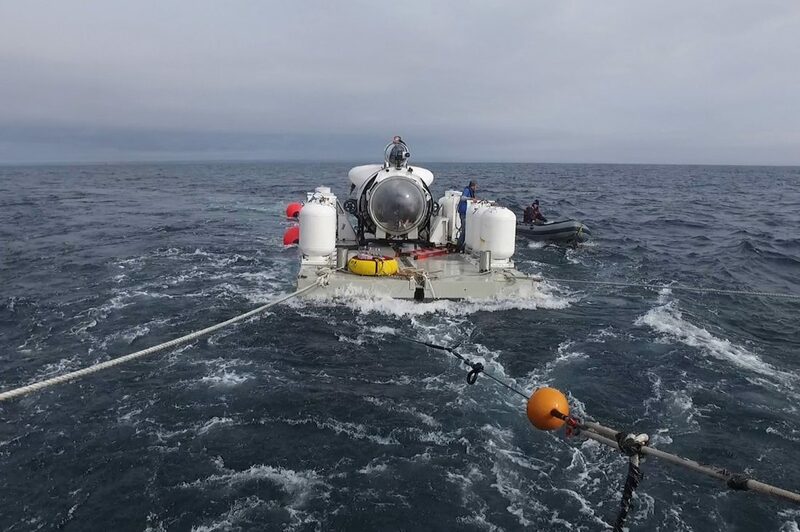 A team of explorers recently made the trip inside the Cyclops 1, a five-person submersible vessel owned and operated by Everett, WA-based OceanGate. The startup provides manned submersible services and says it has performed dozens of expeditions in three oceans over the past seven years. The goal of the Andrea Doria mission was to survey the wreck’s exterior with sonar images, and then to digitally assemble those scans into a virtual model that can illustrate the scope of the wreck and document its current condition, OceanGate said in a press release. Earlier this month, the expedition’s team conducted three dives around the wreck over a period of four hours, taking 17 scans of the bow and the surrounding debris. The expedition is notable for a few reasons. The Andrea Doria is a 697-foot-long Italian passenger ship that sank 60 years ago about 50 miles from Nantucket after colliding with another boat, killing 51 people aboard the vessels. Since then, several hundred dives to the wreck 240 feet below the ocean’s surface have taken place, an arduous and sometimes-perilous endeavor that has earned Andrea Doria the nickname the “Mount Everest of scuba diving.” Sixteen divers have died on scuba trips to the wreck, OceanGate said. The findings from the OceanGate-led expedition might help divers navigate the wreckage, which could improve safety, the Boston Globe reported. OceanGate’s partners in the expedition were iXBlue, which provided underwater navigation equipment; Teledyne BlueView, which provided multi-beam sonar hardware and software for capturing the images; Boston Harbor Cruises, which supplied the support vessel Warren Jr. as a base for dive operations; and the University of Delaware’s College of Earth, Ocean and Environment, which is helping to map the wreck site. The Cyclops 1 can dive a maximum of 1,640 feet. OceanGate is currently developing the Cyclops 2, which will be able to dive 13,000 feet, the company said. A sonar scan of the Andrea Doria shipwreck. Image courtesy of OceanGate.